Printed on paper with 10% post-consumer waste. This magazine is recyclable. Please recycle where facilities exist. n a survey conducted in early 2017, Leading Spas of Canada members made it clear that networking and connecting with their community are the benefits they value most. And that’s why we’ve made creating and facilitating these opportunities a priority. In February, we participated in the second annual L.E.A.D Spa & Wellness Conference and were proud to sponsor a “scholarship ticket” for a student to attend the event. We were so pleased to be there and to have the opportunity to demonstrate our commitment to supporting industry members at every stage of their career. On April 22-23, Leading Spas had a booth at the ESI Toronto show. We met a lot of industry members, including a number of students and independent professionals, many of whom hope to open their own spas soon. It was great to share the new membership opportunities we have available and to talk to them about the many ways we are working to strengthen their connection to the industry leaders we represent. That same weekend, we hosted the Springtime Soiree – an evening of networking and celebration to honour the winners of the 2017 Canadian Spa & Wellness Awards with our partner, Spa Inc. magazine. Representatives from all parts of our community – spas, resource and education partners, and students gathered together for the award presentations, a bit of structured networking and informal conversation. The room was abuzz with energy. Attendees were reacquainted with old friends and had a chance to connect with new colleagues. Industry pioneer and trail-blazer, Tanya Chernova, our emcee, set a very fun and collaborative tone for the evening. After the presentation of the 2017 Canadian Spa and Wellness Awards, she joined me in presenting a Lifetime Achievement Award to her mother, Anna Chernyakhovsky for her mentorship role to so many in the industry. At the event, we talked about a new initiative that Leading Spas of Canada is proud to support called World Wellness Weekend, which will connect us with the global spa and wellness community. On September 22-23, over 1,000 properties in 50 countries will open their doors to offer a free wellness activity to their communities. The goal is to work together to shift attitudes and behaviours and encourage the adoption of healthy habits and lifestyles around the world. There is no cost to participate. You can learn more by visiting leadingspasofcanada.com. guest editorial We also talked about industry research we are planning to undertake later this year. 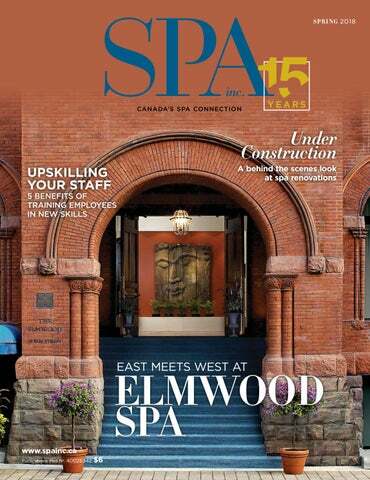 We are excited about getting a current and accurate snapshot of the Canadian spa and wellness industry. Not only will this equip our members and those opening new businesses with the information needed to make informed decisions, it will be yet another opportunity to extend our reach outside of Canada and offer insight to the global community. 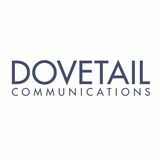 If you would like more information, or you are interested in sponsoring this initiative, please feel free to contact Executive Director, Heather West directly or reach out to Carmelina Karas at Dovetail Communications. I want to extend a very special thank you to our sponsors who make it possible for us to offer these opportunities. By signing up so early in the launch of our sponsorship program, they have truly demonstrated their commitment to the association and the spa and wellness industry as a whole. • Achieve Wellness Spa • Fernanda’s Beauty and Spa Supplies • Hammam Spa • Nufree/Finipil • ResortSuite • Ten Spa • Vitelle Labs It’s been wonderful connecting with our community and we’re looking forward to more opportunities like these. In the meantime, please continue to check the website for new content and resources often, and between in-person events, let’s stay connected online. On February 19, Cosmoprof North America (CPNA) co-hosted a teaser of the latest global beauty trends at the Ron Robinson Flagship Store in Santa Monica, California. The event featured trends discovered at three of Cosmoprof ’s global events hosted in Bologna, Hong Kong and Las Vegas. The event included a panel discussion, which allowed a unique opportunity to hear from recognized tastemakers and trendsetters. The discussion was hosted by recognized beauty experts, including Daniela Ciocan, Marketing Director of CPNA, and Arthur Chipman, Producer of LA Fashion Week. “Cosmoprof is the only beauty platform that offers a truly global showcase to the industry,” said Ciocan. The event featured several brands from each of their previous events, many of them making their U.S. debut. Trends highlighted included: girl power, sustainability, portability, cooling, and the marriage of beauty and technology. Nufree® Nudesse® is a non-wax hair removal process that will remove hair from any part of the body— virtually pain-free. Because Nufree® Nudesse® isn’t a wax, clients won’t experience the pain, redness, or swelling that often happens with wax-based products. Scientifically tested, Nufree® Nudesse® is a selfpreserving antibacterial and antimicrobial, ensuring that it’s both safe and effective. Nufree® Nudesse® is so gentle that clients can apply makeup, swim, and tan once finipil® has been applied after their treatment. finipil® our patented* and FDA registered antiseptic lotion kills 99.999% of germs, cools, soothes, and protects the skin from ingrown hairs and irritation! ©2018 Equibal Inc. *US Patent Nos. 8,603,550; 8,951,582 and 8,951,583.
ow effectively you communicate as a team, in the workplace and with your guests, can help determine the success of your spa in the long run. But it can only happen if you have an effective, reliable organizational framework in which each team member knows what is expected and can be confident doing his or her job. Many spas start without creating this sound foundation and take longer to become successful than perhaps necessary. Communications break down as they struggle to provide a satisfying and rewarding spa experience for their guests. Their team members often don’t feel heard and there doesn’t seem to be enough time in the day to get it all done. country can measure the levels of professionalism in the services and products they provide. They go beyond individual certification and licensing to include the responsibilities of the spa to its team members; the responsibility of team members to the spa; the responsibilities of the spa to its guests; and safety and hygiene. Leading Spas of Canada members agree in writing that they comply with the S&Ps, but compliance is voluntary. When you examine Leading Spas of Canada’s S&Ps more closely, you realize that many of them deal with communications – not only from the top down, but especially in terms of the responsibilities team members have to their spa and to its guests. Communicating these S&Ps to your team can help build a better, more confident team. Make them available to each and every team member and part of the orientation process for new team members to help them understand the “whys” of your policies and decisions. Use them as the basis for writing your employee handbook and encourage team members to give you their feedback. Incorporate them into your annual review process. And don’t hesitate to have Q&As on aspects of the S&Ps from time to time during your team meetings. This is internal communications at its best. S&Ps also help team members understand the importance of effectively communicating with guests. Your spa might seem like an average workplace to you, but for some guests – especially first-timers – procedures can be a little daunting. Look for telltale signals, ask questions and listen for what is not being said to put a guest at ease and make their experience stellar. Taking It One Step Further Many Leading Spas of Canada member spas wanted to verify the excellence of their spas to their guests, which led to creation of the Quality Assurance (QA) program in 2009. Today, QA Certified Spas volunteer and pay for a verification process they undergo every two years by Leading Spas of Canada’s assessors based on the criteria set out in the S&Ps. In these spas, guests can be confident that the spa will strive to deliver a top-notch spa experience in a safe, well-run establishment. Communication lies at the heart of the QA assessment. Prior to the assessment date, a spa is provided the same criteria used by the assessor, so that the spa can be well prepared. There are no surprises. It then becomes a collaborative process in which the assessor has the opportunity to share many of the best practices found in other spas – a win-win situation all around. Effective communications – top-down, bottom-up, to each other and to guests – are the very essence of any successful spa. Standards and practices provide the roadmap to getting there. Kathryn Stolle is a spa professional with more than 25 years in the spa and wellness industry. She is author of Getting Great Spa on the Road to Wellness and is an assessor for Leading Spas of Canada’s Quality Assurance Program. 3 Tips to Spa like a Pro Here’s a mini guide to make sure you spa like a pro: 1. Ask questions when you’re booking a treatment. Do you have any health concerns the spa should be aware of? A preference for a male or female massage therapist? This helps the booking agent find the right therapist for you. 2. Arrive at least 15 minutes prior to your appointment. Most spas will deduct the time you’re late from your treatment time in order to stay on schedule for the rest of its guests. You want to make the most of the time you have! 3. Turn off your cell phone. Consider your spa time your downtime – turn off your head, too, if you can and enjoy your treatment to the fullest. Even a manicure in a busy nail area can become blissful if you relax into it. Most of all, choose the right spa for you! top tips Tips for Spa Renos 1. Have a Plan. You’ll need to have a detailed plan for what you want to change or build in your spa business. That way, you can make sure you have all your financial ducks in a row. 2. Communicate with Clients. Let your clients know what you’re planning to do long in advance. Get them as excited about the coming change as you are! Offer promotions that are tied to the renovation to build goodwill. This will ease them into the period when the spa is in transition and any inconvenience that it will cause. 3. Throw a Party! There’s nothing like a celebration to kick off your new and improved spa. It’s a great way to renew community and client engagement in your business. You’ll find that staff properly trained in the most recent, efficient and innovative techniques are more productive and become extremely valuable to the team. In other words, higher quality work is produced more quickly, whilst ensuring resources are not wasted. Upskilling your employees enables them to do more independently and without the need for an extra team member to take on some of their workload. Just as you notice a properly trained team member working efficiently and streamlining their tasks, you’ll notice efficiency on the management side increases too. Well-trained employees will know how to carry out their tasks effectively and without the need to look to management for support. You’ll notice your team members’ confidence grow and flourish! Since our modules are spa-specific and designed by senior spa directors and project managers with many years of experience, students learn how to best manage their time in the unique spa setting, where time seems to move quicker than anywhere else. Nikos Kouremenos is Education & Project Manager at Raison d’Etre, a spa consultancy and well being think tank. Training motivates your employees to stay with you, inspiring a sense of loyalty, and this is really where upskilling can benefit your company. Teaching people new and more advanced skills, which equip them to perform better, take on more responsible tasks, earn more appreciation and potentially a higher position, followed by a higher salary, is one of the biggest incentives to continue working for a particular company. A study found that 57% of employees would like additional skills training to progress further in their current company. In a culture where job turnover is extremely high, loyalty is worth investing in. You will also be able to promote from within, without having to look outside for new team members as you’ll have higher skilled and specialized employees. Cross training therapists is also an excellent idea as they can then perform a wider range of treatments, resulting in a win-win situation all around. The spa does not need to employ more therapists, and the therapist is in more demand, more skilled and with a much improved CV. Treat your employees the way you want them to treat your guests. Trained staff will have the knowledge to cope with the range of customers’ needs and complaints in a correct and timely manner. Satisfied employees strive to uphold the principles of your business by satisfying guests. If possible, try to upskill your staff with a course that gives them as much personal feedback as possible. This will really help them to develop their handling of tricky situations. We see an opportunity where in the future we may be an ingredients supplier to the cosmetic industry, because there is this move toward naturally sourced ingredients. otox and dermal fillers are injectable, noninvasive, medical treatments that are now widely available both in medical facilities and in spas. Are skin care therapists comfortable in recommending a Botox treatment for their client? Likely they are asked about Botox and dermal fillers regularly. Do they realize that their opinion is one of the most important factors in a client’s decision making? The skin care therapist’s personal and professional exposure will largely influence their recommendation so it is important for them to be well informed and to be able to provide accurate information to their clients. It is also important for the aesthetician to be aware of how injectable treatments may benefit their clients and enhance their ongoing therapeutic relationship. How does an aesthetician or spa owner best learn about injectable treatments? What are the benefits of injectable treatments? The most important step in answering your client’s questions about Botox and fillers is to become wellinformed yourself. You want to know what conditions they treat, who are appropriate candidates, and how do they benefit your clients. science of the spa When clients see the improvements after injectable treatments, they tend to pay more attention to their skin, hair, and body and they have more confidence. They become more concerned about maintaining their skin health and protecting their investment. harmony of the existing balance of the facial muscles. “Bad fillers” can occur if the injector has not respected the client’s pre-existing facial structure and balance and has created unnatural angles or proportions. Choosing a well qualified injector who has excellent knowledge of the facial anatomy and experience in achieving the desired natural appearance is crucial. What are the secondary benefits of a Botox treatment to a spa? The benefits are happy clients who look and feel more vibrant and are motivated to enhance and maintain their appearance. When clients see the improvements after injectable treatments, they tend to pay more attention to their skin, hair, and body and they have more confidence. They become more concerned about maintaining their skin health and protecting their investment. They want to look good and feel good. They become more receptive to other treatment suggestions such as facials, microdermabrasion, IPL, skin tightening, skin care products, body treatments, and other means to further improve their appearance and self confidence. Recommending or being supportive of Botox or dermal fillers for your clients will not steer your client away from their regular skin care treatments and products. On the contrary, Botox and dermal fillers augment a good skin care regime and they go hand in hand. Injectable and non-injectable treatments work synergistically to target facial aesthetic concerns. By combining approaches we can achieve a better and more natural result. The key is for the client to be well informed on the value of the synergistic approach. What prevents an aesthetician or spa owner from recommending Botox? There may be reluctance to suggest Botox for various reasons. Here are some possible worries: “I didn’t want to insult my client to tell her she should consider Botox.” “I didn’t think she could afford it.” “She told me she was scared of Botox so I didn’t feel comfortable suggesting it.” “I have seen some scary Botox results so I am afraid to suggest it for anyone.” “I wasn’t sure she needed Botox.” “I thought she was too young for Botox.” “I thought she was too old for Botox.” “If she does Botox, she won’t want or need her other skin treatments and skin care products” or “she may not be able to afford both.” “I will lose my client”, “she may not want to return” or “the physician may tell her not to waste her time or money on non-injectable treatments and products.” “I didn’t tell her I had done Botox since I wanted her to believe my skin treatments and products are my only beauty secrets.” If any of these points sound familiar, it may be time to find out more about Botox and dermal fillers from your local cosmetic physician. Dr. Diane Wong, MD is the owner of Glow Medi Spa with three locations in Yorkville, Markham and Aurora, Ontario. Glow Medi Spa was awarded a Top 25 Spa in Canada for 2017 by Spa Inc. and Leading Spas of Canada. The eDermaStamp® by Dermaroller ® features the highest quality, medical grade, sterile needles - optimally placed for precision penetration and maximum safety. With the fastest motor on the market (150 strokes per second), the eDermaStamp® offers the most comfortable treatment, fastest healing, and the best results. they want to, or go home if they want to.” Another piece of it is the issue of control. There are all these epidemiological studies that show that the more control people have about how, when and where they work, the less likely they are to suffer from heart disease, stress, absenteeism and presenteeism, and all these sorts of things. What are some of the solutions? There are companies that have lots of different settings where you can go and huddle in a really quiet cone-of-silence room and just get your flow. There are workplaces that also have that adjustability and as many work surfaces as possible. Sometimes companies will have desks or whole tables that are standing tables, which encourage shorter meetings but also movement. In Europe they’ve gotten pretty granular about [natural light in the workplace]. There are rules about how deep a building can be because of natural access to light and there has been evidence for a long time that views to nature are great, views to natural light and seeing changes in light during the day is really good. Is there anything that we as employees can do to improve our own workplace health? I think the big things I’ve noticed are movement; increasing movement throughout the day, standing every 30 minutes or so and walking every hour-and-a-half. Movement increases creativity and innovation. Getting outside in the morning and getting enough sleep is a big deal. I think that paying attention to your stress levels throughout the day is also bigger issue than we give it credit for. How do you achieve healthy work-life balance in your own life? I work out in the morning. I’m a runner so I run for 20 minutes every day. I have two kids so it’s crazy and I’m trying to get them out the door. I’ve found that if I don’t put myself first no one else will and it’s honestly the least selfish thing I can do for my family and my colleagues. If I’m on the ball and feeling good and have lots of energy, I’m giving them my best. What was your best spa experience to date and why? I went to Miraval Resort and Spa as part of the research for my book. It was awesome! I love the fact that they were really pushing the boundaries and mind-body connection and trying crazy things. I did a rock climbing course – which I know is becoming more common – and there was one point where I was climbing the wall and got halfway up and started having a panic attack. My coach, on belay below, said, “Hey listen, take a big yoga breath, look around at this beautiful desert we’re in, isn’t it nice?” Sure enough, after 30 seconds I said, “Oh, I got this!” and climbed up the rest of the wall. It’s amazing how short a time it takes to get your brain to not be reactive and to be more thoughtful. Clinical/instrumental studies carried out on 20 individuals after 28 days of treatment with Trilogy precious drops only.